Businesses large and small now have the option of several small commercial vans that can be outfitted for a variety of applications. Two of the most popular are the 2019 Ford Transit Connect and the Nissan NV200. While outwardly similar in size and appearance, the Ford Transit Connect offers a considerable number of advantages that make it the clear choice for your business. The heart of any commercial vehicle is its engine. The Transit Connect is equipped with a standard 2.0 liter DOHC four-cylinder engine that produces 19 more horsepower (150 vs. 131) and 5 lbs.-ft. more torque (144 vs. 139) over the similar Nissan engine in the NV200. The optional 2.5 liter DOHC engine available in the Transit Connect produces 38 more horsepower (169 vs. 131) and 32 lbs.-ft. more torque (171 vs. 139) than the only engine available in the NV200. In heavy traffic or at stoplights the Transit Connect Van 2.0-liter engine automatically switches off when the vehicle is stopped, saving fuel and reducing pollution. The engine is immediately, automatically, and seamlessly restarted when the driver steps on the accelerator. It should be noted that the Start/Stop system isn’t accounted for in in EPA fuel mileage tests, so its impact is incremental. The NV200 doesn’t offer an automatic engine start/stop system. The Transit Connect Van has 1.3 gallons greater fuel capacity than the NV200 (15.8 gallons vs. 14.5 gallons), for longer range between fill-ups, and/or fewer fill-ups during the day to reduce downtime. The Ford Transit Connect Van has standard four-wheel disc brakes for better stopping power and improved directional control in poor weather. The NV200 is fitted with only front disc brakes, with old-fashion drum brakes. Drums easily heat up and make stops longer, particularly with antilock brakes which work the brakes even harder. For superior ride and handling, the Ford Transit Connect Van has fully independent front and semi-independent rear suspensions. An independent suspension allows the wheels to follow the road at the best angle for gripping the pavement, without compromising ride comfort. The Nissan NV200 has a solid rear axle, which is a non-independent rear suspension typically found in the least expensive compact cars in the market. The front and rear suspension of the Transit Connect Van uses coil springs for better ride, handling and control than the NV200, which uses leaf springs in the rear (which date back to covered wagons). Coil springs offer greater, more controlled suspension travel for a smoother ride. The Transit Connect Van has standard front and rear stabilizer bars, which help keep the Transit Connect flat and controlled during cornering. The NV200 doesn’t offer a rear stabilizer bar. The Transit Connect Van features a drift compensation steering system that can automatically compensate for road conditions which would cause the vehicle to drift from side to side, helping the driver to keep the vehicle centered on the road. The NV200 doesn’t offer drift compensation steering. 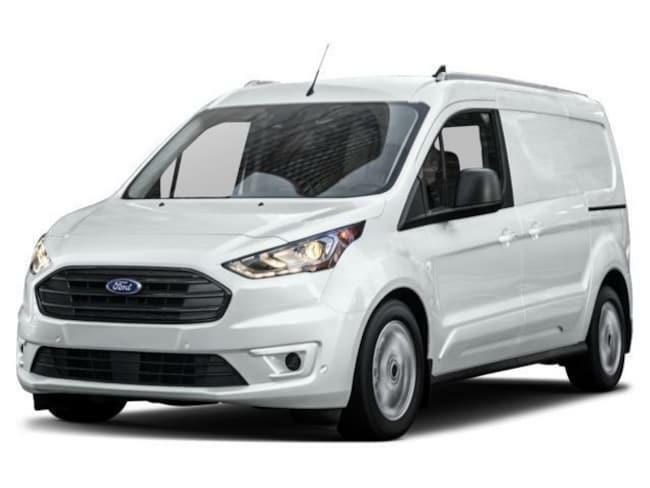 For a smoother ride and more stable handling, the Transit Connect Van has a wheelbase is 5.4 inches longer than on the NV200 (120.6 inches vs. 115.2 inches) and the track (width between the wheels) on the Transit Connect Van is 1.4 inches wider in the front and 1.9 inches wider in the rear than on the NV200. The Transit Connect has 7.6 cubic feet more passenger volume than the NV200 (63.2 cubic feet vs. 55.6 cubic feet). In specific, the Transit Connect Van features 5.2 inches more front headroom, 2.9 inches more front hip room and 3.5 inches more front shoulder room than the NV200. The available liftgate on the Transit Connect lifts up in one piece, completely out of the way of loading and unloading, while sheltering the cargo loading area from the elements. The NV200’s dual swing-out doors impair rear visibility, need extra clearance, and can block loading in tight quarters. The Transit Connect Van Towing Package when properly equipped offers up to a 2000 lbs. towing capacity. * The NV200 has no towing capacity. 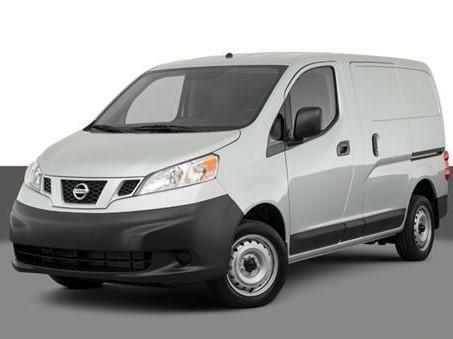 The Long Wheelbase Transit Connect Van has a higher optional payload capacity than the NV200 (1570 lbs. vs. 1502 lbs.). Keeping drivers happy is a big part of retention, and the Transit Connect delivers the features drivers appreciate. For example, the Transit Connect Van XLT offers a remote vehicle starting system. This allows the driver to comfortably warm up the engine before going out to the vehicle. The climate system will also automatically heat or cool the interior. The NV200 doesn’t offer a remote starting system. The Transit Connect Van’s standard tilting steering column adjusts to different sized drivers and makes entering and exiting easier. Nissan doesn’t offer tilt steering on the NV200. In addition the Transit Connect Van has a telescoping steering wheel. The combination allows shorter drivers to sit further from the steering wheel while maintaining contact with the pedals. The NV200 doesn’t offer a telescoping steering wheel. The Transit Connect Van XLT’s standard wipers adjust their speed and turn on and off automatically according to the amount of rainfall on the windshield. The NV200’s manually variable intermittent wipers have to be constantly adjusted. Heated windshield washer nozzles are optional on the Transit Connect Van to prevent washer fluid and nozzles from freezing and help continue to keep the windshield clear in sub-freezing temperatures. The NV200 doesn’t offer heated windshield washer nozzles. To improve rear visibility by keeping the rear window clear, the Transit Connect Van offers an optional rear wiper. The NV200 doesn’t offer a rear wiper. To maintain a safe, consistent following distance, the Transit Connect Van XLT offers an optional Adaptive Cruise Control, which alters the speed of the vehicle without driver intervention. The NV200 doesn’t offer an adaptive cruise control. The Transit Connect Van has standard Automatic Emergency Braking, which use forward mounted sensors to warn the driver of a possible collision ahead. If the driver doesn’t react and the system determines a collision is imminent, it automatically applies the brakes at full-force in order to reduce the force of the crash or avoid it altogether. The NV200 doesn't offer collision warning or crash mitigation brakes. There are many more advantages that the Ford Transit Connect has over the Nissan NV200 such as available lane departure warning system, available Reverse Sensing System, and cross-path warning system. Learn more about Ford Transit Connects at South Bay Ford Commercial. **EPA-estimated city/hwy mpg for the model indicated. See fueleconomy.gov for fuel economy of other engine/transmission combinations. Actual mileage will vary.